Foreign Language Immersion School (FLIS) is Central Florida’s leader in providing multi-language childhood education for over 10 years. Our innovative concept offers students the ability to have access to a well-rounded, diverse, and academically challenging curriculum. This is not your average daycare or elementary school! Our goal is to immerse students in a culture-rich environment that allows students to become balanced multilingual and multicultural citizens for the global economy. In our classrooms you will find highly qualified native speaking educators who are passionate about teaching and who are committed to providing a loving and safe environment conducive for learning. At FLIS, both academic excellence and multilingualism serve as the core foundation of everything we do. From our youngest students starting at infancy up to our elementary students, our curriculum is specifically designed to stimulate and challenge students and accelerate their cognitive development. 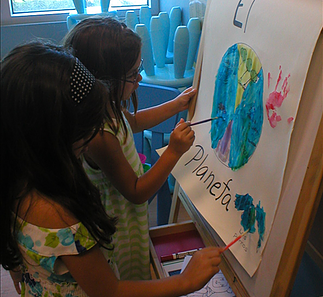 Both our preschool and elementary school focuses on high quality specialized education, using a proven immersion technique where students are immersed in the Spanish, French, and Chinese languages, and cultures. We provide students the opportunity to become fluent in multiple languages at a young age; all while mastering early learning skills, foundational concepts, and surpassing Florida state learning standards in Language Arts, Reading, Math, Science and Social Studies. The school will be closed on all Federal Holidays and inclement weather closures.